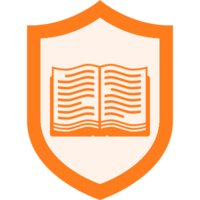 The term "Badge Awarders" refers to the users who have permission to award a badge. To change the settings on who can award the badge, go the the badge settings page. Then, choose from the menu items to determine whether you want the badge to be awarded by admins only or by admins and experts alike. Experts & Admins: The badge is able to be awarded either by #group-admins or by any of the existing #badge-experts. Admins Only: The badge may only be awarded by the admins of the group. Note: Only group admins are able to change the editability permission on a badge.